Foster Care in PA: How Will Fostering Affect Your Family? If you have children of your own already, you might feel hesitant about becoming a foster parent. One of the first questions a couple asks when they are considering becoming foster parents is “How will this affect my family?” The truth is, it will. Becoming a part of something like this is bound to impact your family. But what many people don’t realize is how much that impact will be a good thing. Your family will become closer. Every member of your family will be an important participant in the foster care process. Through this shared experience, you may find that you become closer and the family bonds are strengthened. You’ll become more compassionate. When you can help someone who desperately needs it, it shows you how fortunate you are in your own life. When you work in the foster care system, you and your children will become more compassionate as you see how much need there is and how you can help fulfill it. You’ll learn a lot about loss. All of the foster kids who come to your home have experienced some sort of loss. It will break your heart over and over again. But it will renew your faith in humanity, too, as you see what these kids overcome to become successful, happy citizens of the world. You’ll love more than you thought possible. It might sound cliche, but it’s true. Foster families report that they learn to love more, love better, and love others more strongly than ever before. That’s a pretty great impact on your family and one that you can be proud to share with your children. Bad behavior such as cursing, dishonesty, and even issues with drugs and addiction. Dangerous behavior that could impact the safety of those in your home. Insecurity for all members of the household as they try to figure out their new roles. In general, most organizations recommend that there is a significant age gap between your children and the children that you foster. That can help overcome feelings of competition within the household. You may choose to wait until your children are older, too, so they are able to play a more active role in the fostering process. After all, anyone living in the household will play a huge role in how welcomed the foster child feels. Older children might be better equipped to help and extend a welcoming hand. Spending time with your children one-on-one can help them feel good about the situation, too. One of the most important things that you can do is to maintain communication with the social workers. They can help find support, get help for your foster children, and address situations that may be unacceptable. This is especially urgent if you are feeling unsafe or are concerns about the safety of your foster child or another member of your household. Remember, too, that it can take some time for foster children to settle into their new home. After all, chances are they aren’t in your home because they were a part of a happy and loving family beforehand. Be patient, firm, and compassionate. In time, most families report that being a part of the foster care system in PA was a rewarding experience for every member of their household. 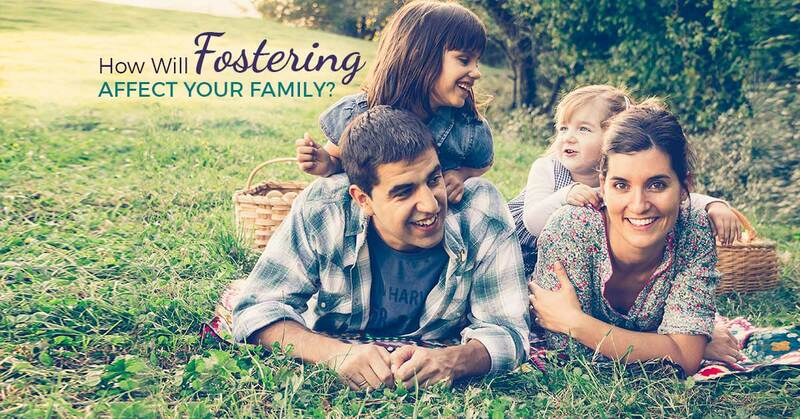 If you would like to learn more about becoming a foster parent or how to support those who are, give FCCY a call today at 800-614-5136.